Q. How do I install Write-N-Cite? You can download Write-N-Cite from the RefWorks website. Ensure that all Microsoft Office programs are closed before installing. Login in to your RefWorks account. Select Tools from the main menu and choose Write-N-Cite. 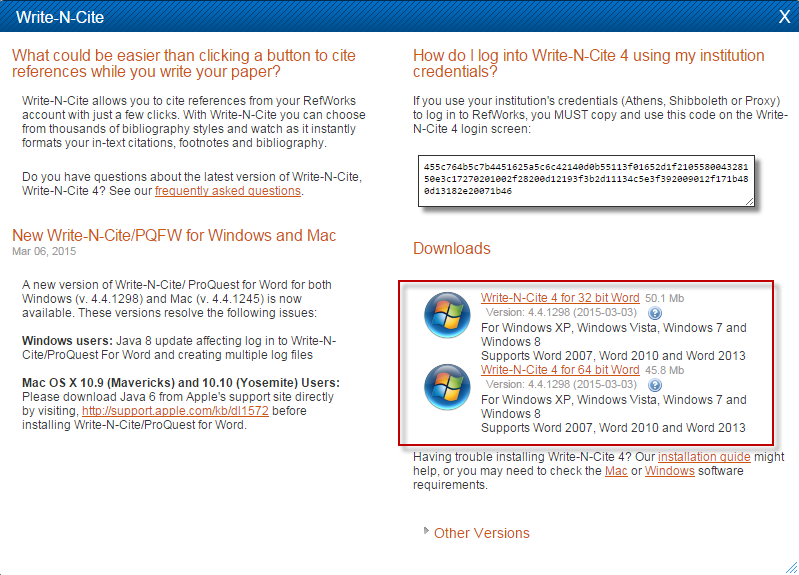 Under Downloads in the Write-N-Cite pop up window, choose the relevant Write-N-Cite link (32 or 64 bit word). 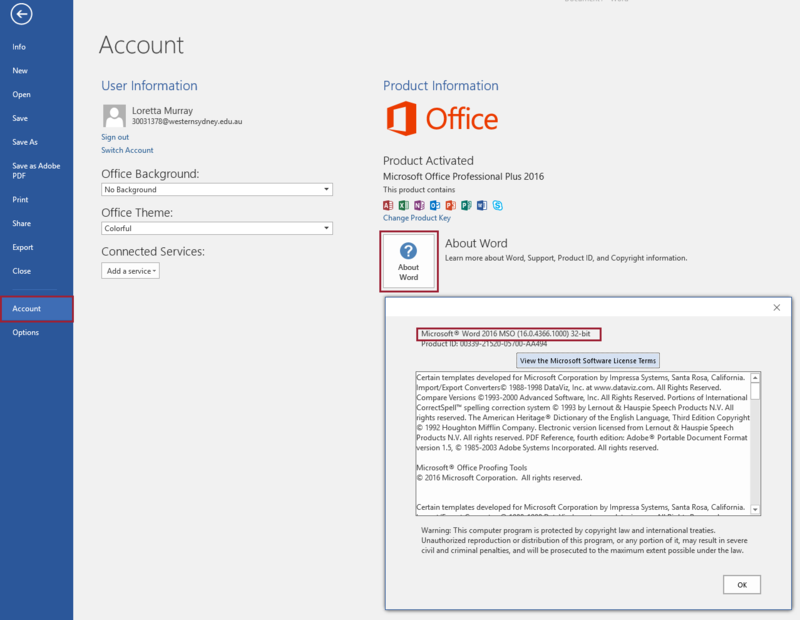 If you are unsure which Write-N-Cite download link to select, refer to this article from the Microsoft support site and select About Word? in step 4. Ensure that you close the Word document before selecting the relevant link to download. At the prompt, save the file to your computer then open the saved file and follow the prompts to install. Open Word and choose the ProQuest ribbon, then select the 'Log In' button in the 'Settings' group. Enter your RefWorks login when prompted. The 'ProQuest' tab will change to RefWorks and you should have access to all the functions within the 'Citation and Bibliography', 'Extras' and 'Settings' groups. If the 'ProQuest' ribbon does not appear, there may be an add-in installed in your Word program that conflicts with Write-N-Cite. Add-ins known to conflict with Write-N-Cite are Dragon Naturally Speaking and Adobe Acrobat PDF Maker. If these add-ins are active in your Word program, you could try disabling these temporarily to see if this resolves the problem. Instructions to turn off add-ins can be viewed through this article.